This blog is the second in a series discussing cross-generation collaboration in Procurement. Be sure to check out the first installment 'Building Interpersonal Skills in a Technologically Enhanced Workforce' from Source One Associate Director Jennifer Ulrich. I was always deathly afraid of phone calls. Whenever my cell phone rang and displayed an unfamiliar number, I usually watched it vibrate and cursed the sound. Sometimes, I even went as far as to sit on my phone to muffle it, hoping it would stop. I admit that, even now, I am still a little apprehensive when it comes to talking on the phone. It’s a very common fear for people of my generation. Millennials have been dubbed socially awkward and earned the nickname Generation Social Isolation, thanks to our dependence on technology. BusinessInsider even claims that we are losing our social skills thanks to social media. It’s no wonder. For many of us, technology allows us to communicate in controlled environments. We can take our time crafting responses and connect exclusively with our peers. We have control over how others may perceive us and can stop conversations whenever we wish. During in-the-moment conversations at work, we are definitely forced to approach chats differently, exercising more care and – often – displaying more clumsiness. When posting to social media or crafting a text, Millennials tend to keep it short. Too much information can be overwhelming. Going from written to verbal and nonverbal (e.g. body language) communication, Millennials may struggle to bridge the gap; it’s much easier to focus on the objective of the interaction. This can be extremely useful, especially in the workplace. Favoring concise interactions, Millennials display their skills for critical thinking and distillation. Both enable them to transfer information efficiently. With the rise of chat apps and other platforms, Millennials interact with each other 24/7. They encourage flexibility, allow for multitasking, and create an informal but proactive setting. This aspect of Millennials’ cultural influence can already be seen in the workplace. Consider the professional chat app Slack. Technology-savvy individuals are immediately aware of new conversations on their hand-held devices and can immediately respond without going through the formalities of writing an email. When it comes to finding suitable work environments, Millennials value honesty and transparency. We want to understand the contexts and importance of everything in the workplace by asking (sometimes candid) questions. With open lines of direct communication and consistent teamwork, trust and collaboration naturally improve. I believe interpersonal communication is a vital life skill and something that everyone actively and passively works on all their lives. I also find it very funny that it has become a defining trait for people in my generation. Throughout my time with Source One, I’ve grown professionally and met some wonderful people. It’s inspiring that so many members of the team are fellow Millennials. 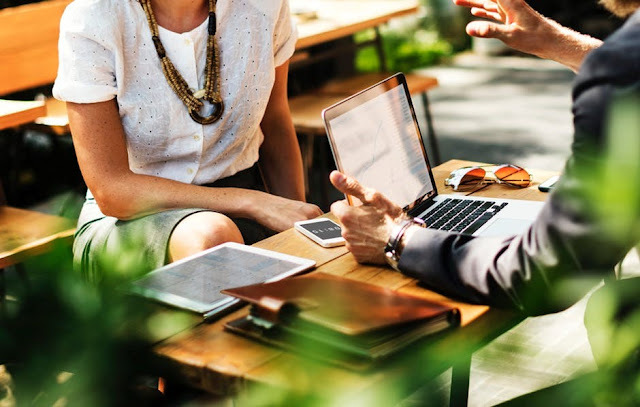 I particularly admire how easily they can handle difficult conversations, from expertly dealing with client crisis calls to persuasively pitching a service offering. 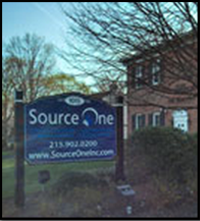 My work at Source One has also allowed me to recognize the impact of human exchanges in all our projects, from contractnegotiations to managing suppliers (for more examples, visit sourceoneinc.com).